The largest U.S. oil refinery violated federal air pollution laws thousands of times during the last five years, releasing 10 million pounds of illegal pollution, including cancer-causing toxins, without facing proper fines or being forced to fix equipment, environmental groups claim. Exxon Mobil Corp., which owns the refinery, is the latest target of Sierra Club and Environment Texas, which recently forced Shell into a $5.8 million settlement over environmental violations and has filed a lawsuit against Chevron Phillips. The environmental groups have not yet sued Exxon but have notified the Irving, Texas-based company, the U.S. environmental agency and the Texas Commission on Environmental Quality of plans do so - a requirement under the U.S. Clean Air Act. Exxon reported all of the incidents and claimed they were "not considered deviations" because they did not violate the limitations in the air operating permit for the refinery, which is in Baytown, about 35 miles southeast of Houston. 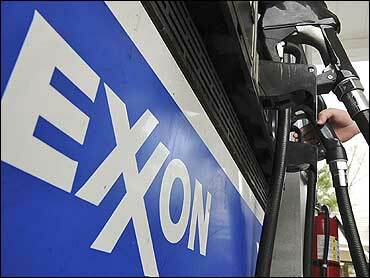 Exxon did not comment on the pending lawsuit. The Texas commission declined to comment specifically on the pending litigating but said in a written statement that it has an effective enforcement program that uses corrective actions when necess "The TCEQ believes that enforcement is not a goal, but one tool among many available to protect the environment and people," the statement said. "The agency pursues strong and vigorous enforcement."